Posted on 18 April, 2017 at 12:40 pm. In 2015 we started working with Become (previously called the Who Cares? Trust) to reach young care leavers who were suffering from loneliness and isolation. As we have seen throughout this month leaving care can be an isolating experience, and the young people who do often receive little support from previous foster homes and families or the local authority when things get tough. Two years ago we worked with Become to provide a new TV to Kayla: this is her story. Kayla was living in an area where she didn’t feel safe, especially after dark, so she spent a lot of time alone in her flat. When she was burgled, intruders took everything – including her TV, radio, phone and her laptop, meaning she also lost lots of work on her degree dissertation. 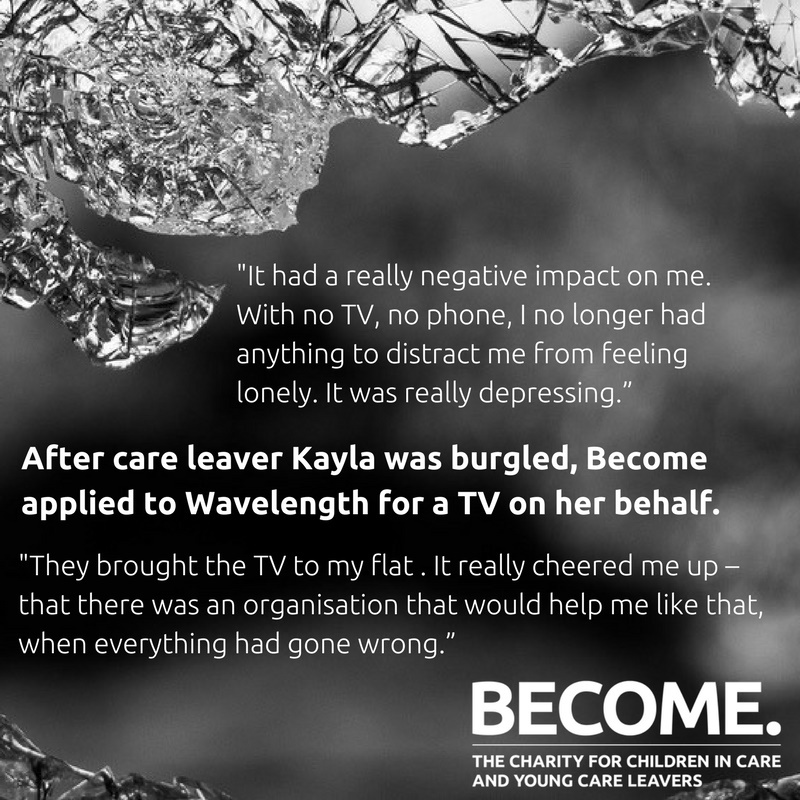 Two years on, Kayla has completed her degree and is working – and still watches the TV provided by WaveLength in the evenings when she wants to relax.